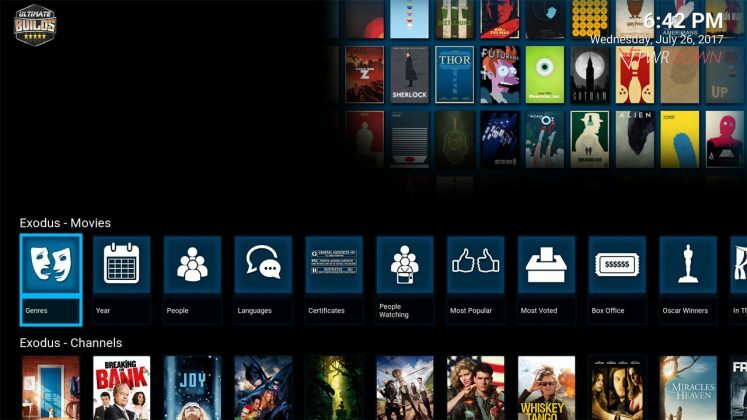 How to download and install the Ultimate Exodus Build for Kodi Krypton. 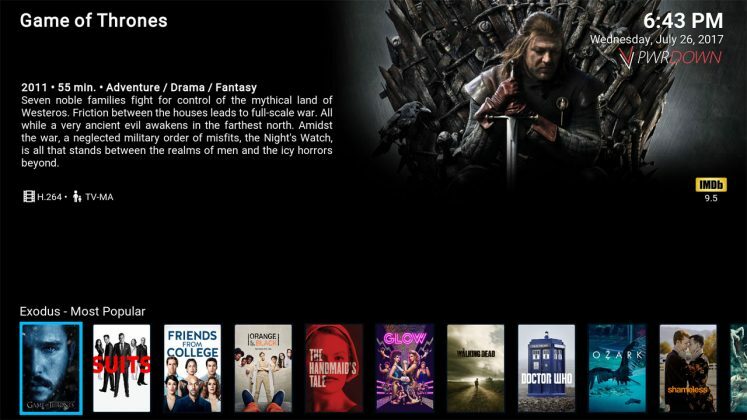 An easy to navigate build that’s similar to Netflix. I’m quite impressed with the Ultimate Exodus Build. It uses the Titan Skin which is very appealing and well structured. As well as Titan, it uses just the Exodus add-on to fill your home screen full of content such as Movies and TV Shows. 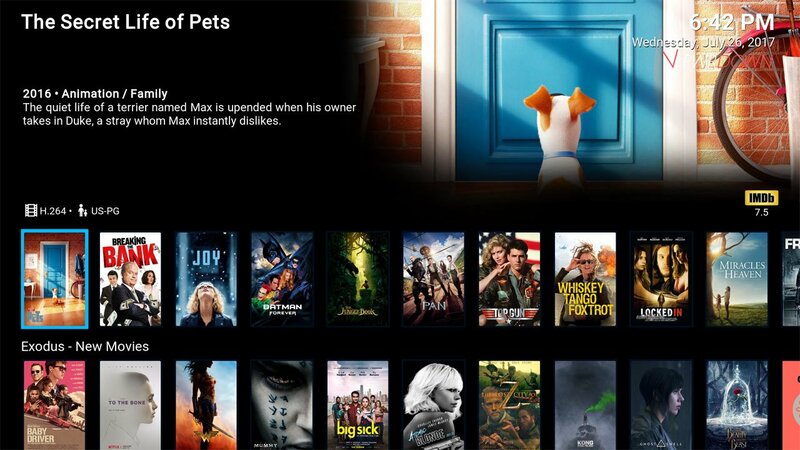 The Ultimate Exodus Build replicates Netflix with it’s appearance, and it’s great. 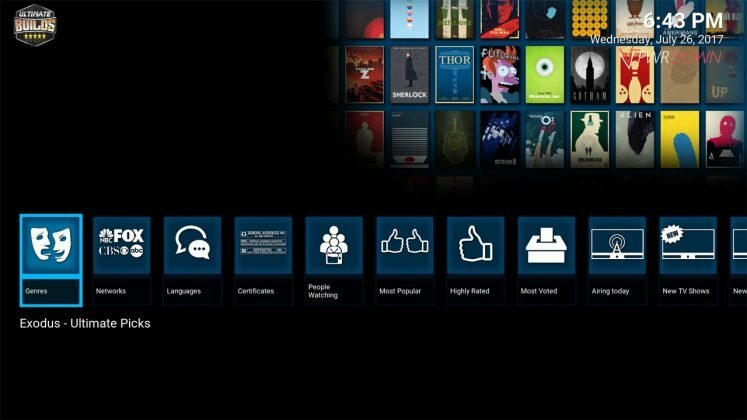 If you have any friends or old people who don’t know how to use Kodi, I’d recommend this build. This guide is for Kodi Krypton, and the steps below are listed for the Estuary skin. If you have any problems with this build, feel free to leave a comment below and we’ll reply. Also, this build is not supported by the Kodi developers, so please don’t head to the Kodi forums for support. If a message pops up saying Unknown Sources needs to be enabled, check our short guide here. Wait for it to download. Allow Kodi to force close. Done! I can not find this build in the Ares Wizard. I have been through all 332 in All Builds & 83 in Other Builds. Any ideas?